One firefighter suffered minor injuries while fighting a blaze that broke out Friday morning inside a vacant building in Independence. 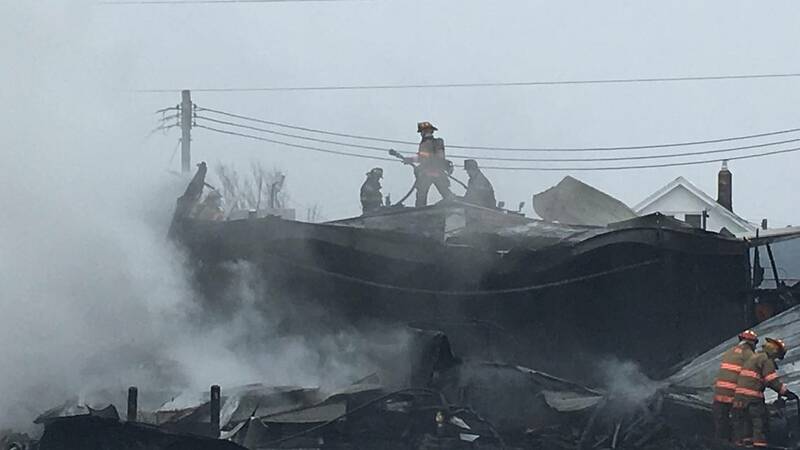 Independence fire officials said the fire was reported at 9:37 a.m. Friday in the 9000 block of East U.S. 40, just west of Blue Ridge Boulevard. The vacant building was described as a “garage-like structure,” and was engulfed in flames when firefighters arrived. A section of U.S. 40 was shut down during the incident. Fire officials reported around 11 a.m. that the blaze was out. An investigator will begin working to determine a cause.